No Chinese New Year without Chinese dumplings ! 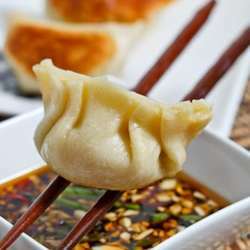 So why not learn how to make them yourself during a fun cooking workshop, of course finishing off by enjoying your self made dumplings with a hot cup of freshly brewed Chinese tea ! As places are limited and I need to confirm and pay the restaurant in advance, you will be requested to pay your contribution at the latest by February 10th Protected content . As soon as you sign up, I will send you more details about the money transfer, with many thanks for your kind understanding.